Room 8 2017: Miss Morrison : Bar graphs and Pictographs in Room 8! 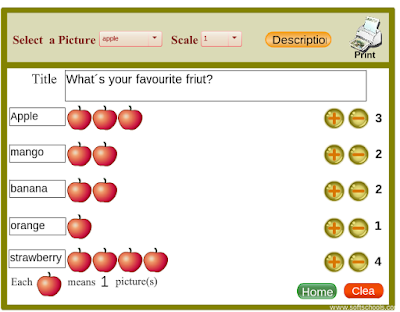 Today in Maths we were learning about Pictographs and Bar graphs as part of our Statistics topic. We talked about how these are different types of displaying data. Both types are visual displays and are usually very easy to understand. First we had some students go around the classrooms and collect data. They asked each teacher on a survey, how many students they had in their classrooms. We then put the data together and made this awesome pictograph! We then looked at how many of the Room 8 students go to the different Music sessions. We are very lucky that Caleb has been taking lots of music sessions this term that focus on different music areas. At the beginning of the term we got to pick from Guitar, Keyboard, Digital, Songwriting and Drums lessons! We decided to put all this data together and made a bar graph showing what ones Room 8 chose! Here is Stephney's awesome blog post about her learning! WALT: use pictographs or bar graphs. 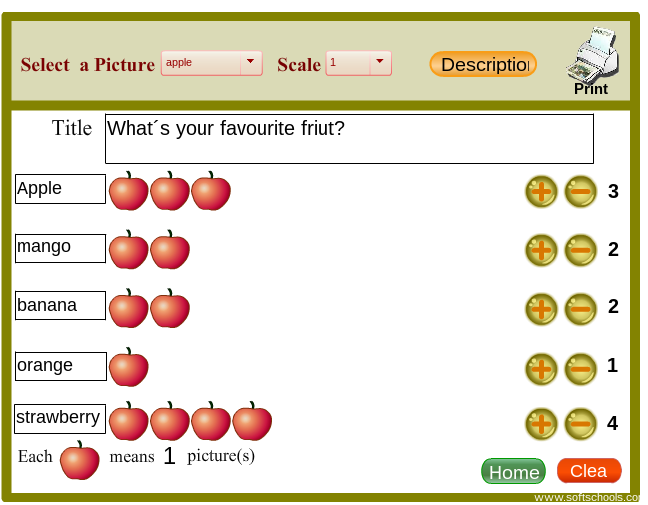 This is my pictographs and I found out that Room 8 mostly likes strawberries. I hope you like it and Email me if you want to make it, please comment. Here is the picture of my pictographs. WALT: use pictographs or bar graphs. 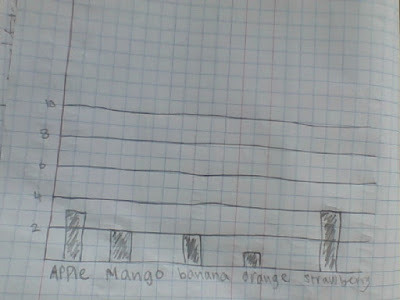 This time I have used a bar graph I hope you like it. Please comment. What a great session we had! We can't wait to learn about different types of graphs and create some cool surveys for other students.